A few weeks ago, I sat down to do my morning “soul work”—essentially, a morning practice that helps me to spiritually align and connect with the Universe before I start my day—and as part of it, I read Lesson 48 in the workbook section of A Course in Miracles. It was, as they often are, exactly the lesson I needed to hear, and one I need to remind myself of often. 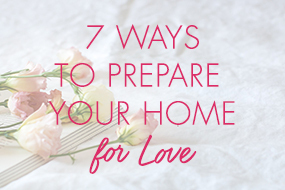 You don’t need to fear that unexpected bill. You don’t need to fear that you’ll never find your soulmate. You don’t need to fear if you haven’t yet discovered your life’s purpose. Because there actually is nothing to fear. Not if you inherently know and surrender to the truth of who you are and the divine guidance that supports you. Of course, if it were all up to us—if every choice, every decision, every moment in our lives, depended only on our own wisdom and our own strength and our own capabilities . . .
. . . well then, yeah—we might all be a little scared (and rightly so). Luckily, it’s not up to us. And even more fortunately, all of that fear is an illusion based on the even greater illusion that it is. Whether you’re a Course student like me, or simply spiritually-inclined, you likely know that there are only two energies to choose from in any given moment—love or fear. And only love is real. Because when we choose fear, we’re operating under the assumption (and the illusion) that we have only ourselves to rely on. But we know that’s not true, right? We have a loving and benevolent Universe on our side. We are divinely-guided and our lives are divinely-timed. Always. But the reality is that we are human. We will forget. You and I both will again (and again and again) find ourselves believing that we are in control or that we have reason to fear that our lives won’t turn out exactly as they’re meant to (which is to say, for our very highest good). Merely repeat the idea as often as possible: There is nothing to fear. In line at the grocery store. As you close your eyes to fall asleep. During your 7:30pm spin class. Say it out loud with your eyes open, or close them and repeat it over and over in your mind. You are being guided and supported at every turn, love. When you remember that, you’ll effortlessly conspire with the Universe to create the life of your dreams. And there’s absolutely nothing to fear about that. P.S. Live in Los Angeles? 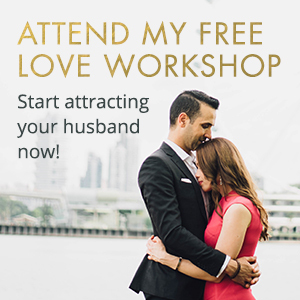 I’m leading a workshop where I dive even deeper on love versus fear, and learning how to divide and invest both your time and energy for ultimate happiness. Join me at Wanderlust Hollywood on Thursday, April 21st, as we gather and learn more about this important lesson together! That was exectly what I needed. Fear shoudn’t dominate in decisions we make. I try to keep that in mind every day. I like the thought: Do something that scares you every day and soon nothing can scare you. It doesn’t really matter how fast you’re going if you’re heading in the wrong direction.